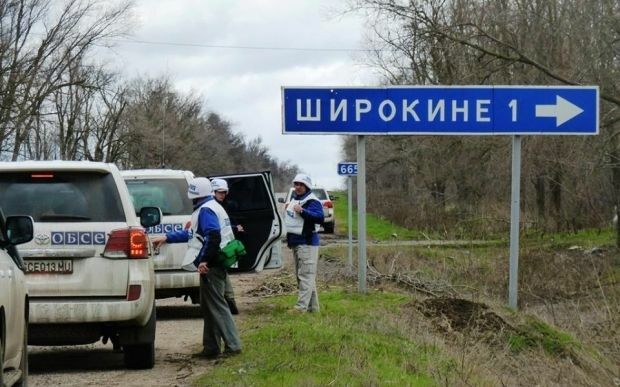 A 30-year-old volunteer from Lviv region was killed in Shyrokyne (Donetsk region), the Communication Department of the Donetsk region police reported. The police was informed in the evening that a dead body of a volunteer had been brought to the Mariupol hospital from Shyrokyne. Doctors diagnosed he had suffered a "fire bullet penetrating wound of the left half of the chest with damage to the left lung and the heart." According to preliminary information, the man was killed by a militant sniper. The volunteer came to the Anti-Terrorist Operation zone to bring food stuff for the Ukrainian military. The police launched criminal proceedings based on Article 115 of the Criminal Code of Ukraine (premeditated murder).